Moniack Mhor has a past steeped in stories. Built on the site of an ancient baron’s house, surrounded by fields rich in the remains of Bronze Age civilizations, the centre once served as a croft. Its restoration came about in 1992 and was supported by funds raised through a 24 hour poetry recital staged by 24 poets and 135 lay reciters. In 1993, its founders Kit and Sophia Fraser opened the doors to its first course in partnership with Arvon (formerly the Arvon Foundation). 2015 heralded the official beginning of Moniack Mhor as an independent writing centre thanks to the support of Creative Scotland. Our programme offers a range of creative writing courses aimed to support writers working at all levels, from those who have never written to those who are fine tuning. We provide support and opportunities in the form of bursaries on our open courses as well as plenty of awards and fellowships. We are honoured to have the support of our patrons, Carol Ann Duffy, Liz Lochhead, Jackie Kay, Val McDermid, Mairi Hedderwick and James Robertson. As you browse our website, you’ll find more information about the centre itself, who we are, some of the students who have passed through our doors, and the many wonderful tutors who have led courses here before. 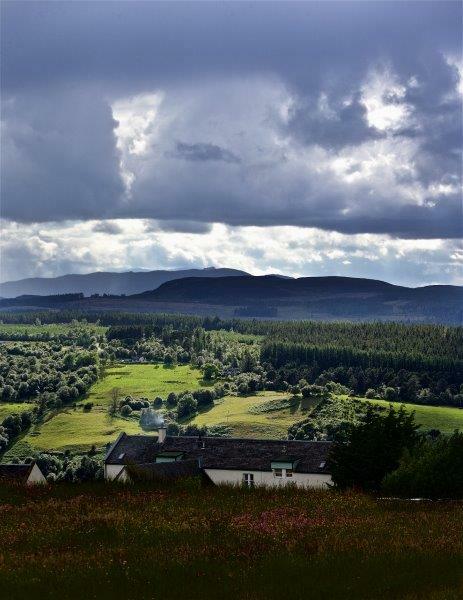 We hope that you stumble across something that inspires you to join us at Moniack Mhor and we look forward to welcoming you on the hill.